Earthquakes, Famines, Pestilences, Wars & Rumours of Wars all Increasing! China and Taiwan braced on Friday for the impact of Typhoon Soulik as the toll of dead and missing from torrential rain across large parts of China climbed beyond 200. The storm will also pass close to the far southern Japanese islands of Ishigaki and Miyako. China has ordered fishing boats to return to port and suspended ferry links to Taiwan, the official news agency Xinhua said. Large parts of China are already being lashed by torrential rain. At least 36 people have died in flooding in the southwestern province of Sichuan since the weekend, and 166 people are missing, the China News Service said. 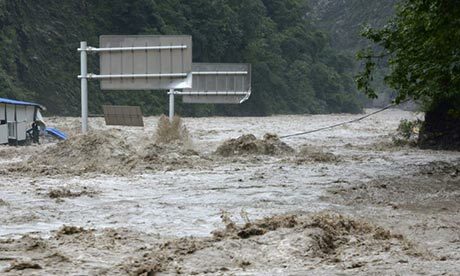 State television has broadcast dramatic pictures of bridges and houses being washed away around Beichuan and Dujiangyan in Sichuan, a region still recovering from a massive earthquake in 2008 that killed nearly 70,000 people. For any with eyes to see and ears to hear, take heed, the God of the Bible did forewarn that a time of trouble so great would come to pass, and be preceded by earthquakes, famines, nations rising against one another, with wars and rumours of wars, and pestilences in diverse places, and that these would be the beginning of sorrows. Matthew.24:6-7. A defining feature in the churches of God today is also accurately foretold in verses 11 & 12, saying; “And many false prophets shall rise, and shall deceive many. And because iniquity shall abound, the love of many shall wax cold. How true and astonishingly accurate are the words of this prophecy! In today’s topsy turvy mixed up, confused and chaotic world of “religious-beliefs” there is little resembling the truth and teachings of God’s one-true church, and their sacred, and ancient teachings. 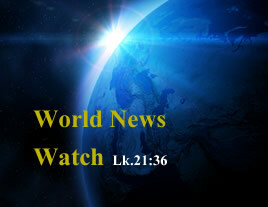 And the churches are all following men in place of Christ, and the many indeed are being deceived! Some with soft teachings, others with hardline indoctrination and falsehood. The LOVE of MANY has also indeed WAXED COLD, but why? Because INIQUITY shall abound! Iniquity is lawlessness, and lawlessness is the transgression of God’s Law. 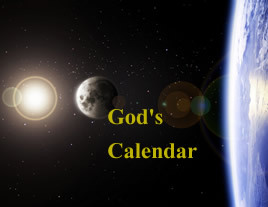 And today, the churches have largely become LUKEWARM to God’s Laws, one saying to me he didn’t think it mattered any longer whether God’s holy days were kept in accordance with set times, as long as we keep them in the spirit of the Law? Is that what anyone understands about the keeping of the Sabbath day God commanded to be kept forever? Should God’s Sabbath be kept in some ethereal and mystical airy-fairy manner such as this? 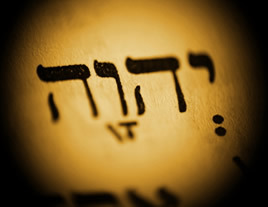 Did not the God of Abraham, Isaac and Jacob command the children of Israel thus: “Speak ye unto the children of Israel, saying, Verily my Sabbaths ye shall keep: for it is a sign between me and you throughout your generations; that ye may know what I am the LORD that does sanctify you. Six days may work be done, but the seventh is the Sabbath of rest, holy to the LORD: Whosoever does any work in the Sabbath day, he shall surely be put to death. Therefore the children of Israel shall keep the Sabbath to observe the Sabbath throughout their generations, for a perpetual covenant. It is a sign between me and the children of Israel forever: for in six days the LORD made heaven and earth, and on the seventh day he rested and was refreshed. Ex.31:15-17. Suffice to say, in this Godless world of mankind, penalties will continue to abound, because iniquity and Lawlessness abound, and the love of many has waxed cold. As one of many “effects” we see playing out before our very eyes, if we can truly see, these troubles will continue to increase until the prophesied time of world conflict, and world war III arrives, called in scripture, The Great Tribulation, and time of Jacobs trouble unleashes powers and horrific effects on our world, especially the west, for it’s disdain and rejection of God Almighties Laws! Matthew.24:15-21. There is a great deal more. Write for your free information. You and your family can escape all this. Seek and you shall find, ask and you shall receive. Freely we have received of the LORD, freely we give. Are we entering a time of violence as it was in Noah’s time? The violence not only in Latin America, but in all of America is evidenced by their lax gun laws, regardless of what powerful gun lobbies will have any gullible enough to believe. The fact that Mexico borders the U.S to the north, and that the flow of weapons, and drugs is virtually impossible to stop, is just another factor in the ongoing violence perpetrated against innocent citizens in all their forms. In December 2012, Enrique Pena Nieto was sworn in as Mexican president, succeeding Felipe Calderon who had launched a crackdown on the drug gangs six years earlier. Mr Pena Nieto had campaigned on a promise to to switch the focus from tackling the gangs and hunting drug barons to reducing the crime and violence that affect the lives of Mexicans. What is the scale of the violence? Keeping track of the drug deaths is difficult, as official figures have been issued sporadically. Most estimates put the number of people killed in drug-related violence since late 2006 at more than 60,000. Although there is no official breakdown of the numbers, the victims include suspected drug gang members, members of the security forces and those considered innocent bystanders. However, analysts have tracked an overall reduction in violence during 2012, continuing a trend from the previous year. last updated 6 May 2013 Note on following figures: red indicates U.S. DOS data, blue indicates RAND/MIPT data (incomplete for 1998-2004, see table below for more recent figures). No doubt, regardless of the facts, statistical analysis cannot give accurate details of the violence in it’s many forms, being carried out upon hapless, and not so hapless human beings, whether past, present, or future. Statistical ‘experts’ all appear to have their own opinions, and analyses profiles, but that can depend on input data, and other factors, which in reality don’t amount to anything other than what we see playing out on our televisions and radio’s, on the internet etc, that we are living through some of the most violent times in our chequered history as a species! What we need to acknowledge and accept, is that humanity in general are a violent life-form, which comes back to one great cause… Do you, does any human being know the real causes of all the atrocities humankind carries out against his fellow man, in domestic, societal, family and all forms of violence? The effects we are seeing are not new, but old, but the solutions are going to be profound, and earth shattering to say the least. As a man once said; All of man’s problems are spiritual in nature”, and as far as the writer and others around the earth are concerned and convinced, the only solution is for mankind to return their Creator, and begin to obey God. God forewarned mankind in the scriptures that there will come a time when he will cut short mankind’s devilish ‘reign’ on this earth, and that if he did not, there would be no flesh left alive! This is due to man’s proclivity to violence, leading to war. This will be the situation just prior to the return to this earth of the Son of God, Jesus Christ! (See Matthew.24:21-22. This period is shown in the Bible to last for 3.5 years, preceded by a flight of God’s people, culminating with the return of the LORD in power and great glory! (verses.29-31.) As the writer has stated, there is a cause for these effects, and Christ highlighted this further in verses 37-42. If you are one that fears God, and wants to avoid this coming time of world conflict, and time such as has never been, no, nor ever will be again, write for further prophetic teachings on end-time events, there is a way of escape!